the other night we FINALLY made it to pearl dive oyster palace, a place i continue to call pearl dive oyster bar, over and over and over again. the palace is really throwing me off for some reason. whatever, it doesn't matter. it's delicious. the oysters were of course spot on and the fried chicken (yes, they have fried chicken) is divine. also, the drinks. gotta give a shout out to the small, but so well done, drink list. i started with a fleur 75 and ended with a pearl cup. 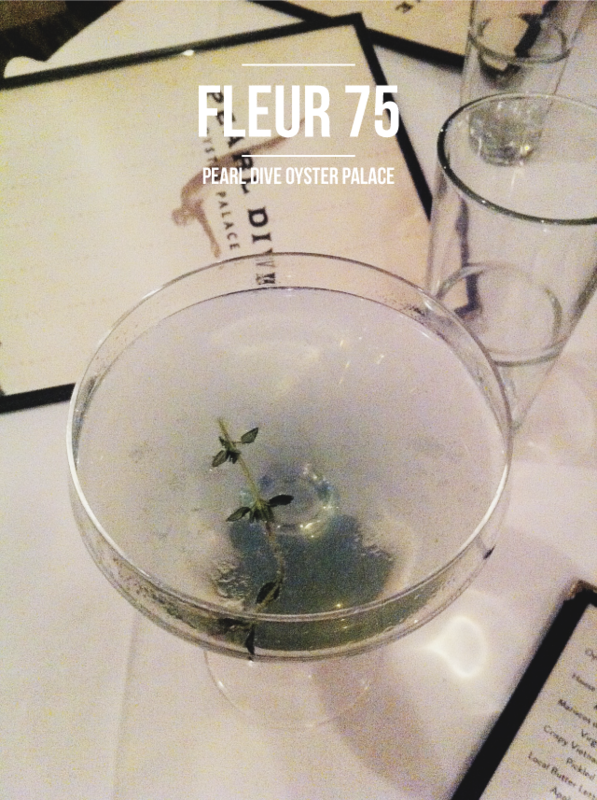 the fleur 75 was the palest shade of violette - so pretty - and the pearl cup came in a mason jar - totally fitting. When can I come up so we can have a lady date to this joint? I LOVE OYSTERS. And good drinks. As you well know. lady, i'm here, come visit! i could really use some fried chicken today. and both of those drinks. two of each, actually. I don't know what is in either of those (and I'm a bit on the lazy side right now), but I know I want one. Or all. Whatever. I love to eat seafood and oysters is one of my favorite. What is the exact address of the restaurant? i tried this a few weeks ago and had the little catfish po'boy. srsly one of the best sandwiches i've ever had.